Website set up – CHECK! Facebook page set up – CHECK! Etsy Shop set up – CHECK! – ok… well.. it was already set up, but now it’s *New and Improved* Ok, not totally NEW yet… but it IS improved. With my new logo… well… it will be as soon as I finish this post and update it… soooooo…. 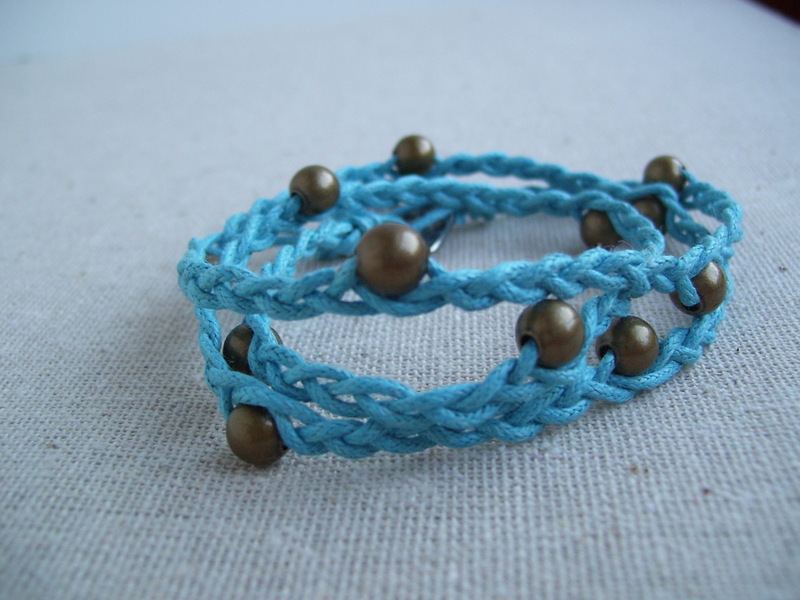 I’m calling this the Bronzed and Blued Braided Wrap Bracelet. Totally amazing for that pop of color against a neutral colored blouse or t-shirt. Second KIY Kit in the chute is…. drum roll please…. 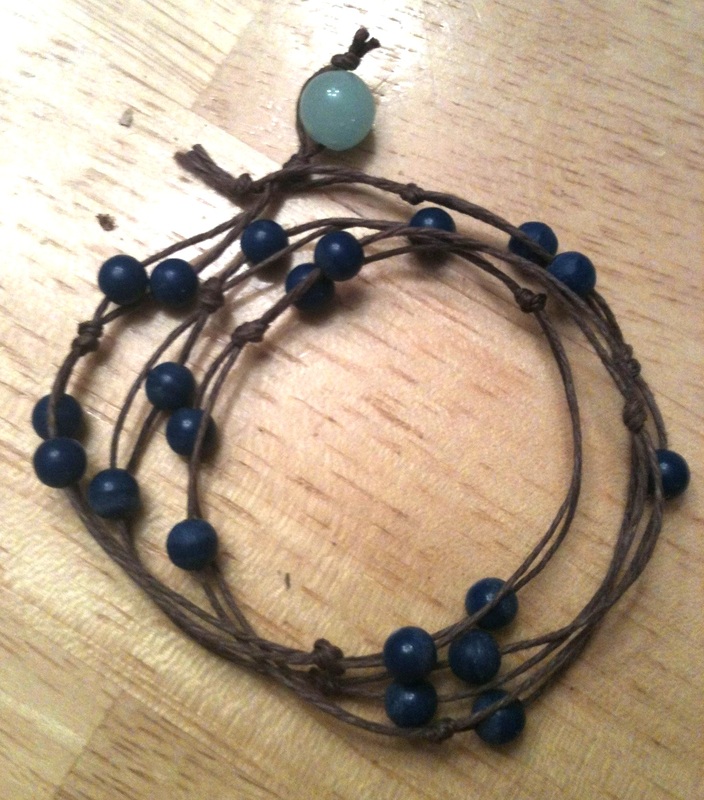 This baby is called Beads on a Wire Hemp Wrap Bracelet. It is so simple and classic – I love it! Please, people, don’t judge my iPhone shot… it will hurt the bracelet’s feelings. So now I’m off to work on taking the final process/product shots, then make up the booklet and list them on Etsy! Previous DIY Kits for ALL! Next Bronzed and Blued Braided Wrap Bracelet – DIY Tutorial and Kit!